Eric Madﬁs, Ph.D., is an Associate Professor of Criminal Justice at the University of Washington Tacoma, where his research focuses on the causes and prevention of school violence, hate crime, and mass murder. As a nationally-recognized expert on school violence, he has spoken to audiences across the country and around the world about his research, including at the 2015 United States Congressional Briefing on School Safety and Violence Prevention in Washington, D.C. He received his Ph.D. in Sociology from Northeastern University in Boston, where he was a Research Associate at the Brudnick Center on Violence and Conflict. He often teaches courses on Criminological Theory, Sociology of Deviance and Social Control, Criminal Homicide, Juvenile Justice, and Diversity and Social Justice in Criminology. 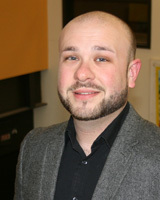 His work has been published in American Behavioral Scientist, Critical Criminology, Homicide Studies, The Journal of Hate Studies, The Journal of Psychology, Men and Masculinities, Social Justice, The Social Science Journal, Violence and Gender, Youth Violence and Juvenile Justice, and in numerous edited volumes. His book, The Risk of School Rampage (2014, Palgrave Macmillan), explores how threats of multiple-victim rampage shootings are assessed and prevented in American public schools. He also served as co-editor (along with Dr. Adam Lankford) of the February 2018 special issue of American Behavioral Scientist on "Media Coverage of Mass Killers." Dr. Madfis has been interviewed by and/or has had his research featured on ABC News, CNN, MSNBC, NBC, NPR, The Australian Broadcasting Corporation, The Canadian Broadcasting Corporation, The Boston Globe, Live Science, The Los Angeles Times, The New York Times, Newsweek, Politico, Psychology Today, Salon, Slate, Time, Vice, and many other local, national, and international outlets.